Council Tax bills are set to rise by an average of 4.7% in 2019/20, due local authority funding by central Government being cut. Government funding cuts have left many rural areas with no other options than to raise council tax. County councils in rural areas will receive just £148 per head on average, compare to £319 for “metropolitan district” councils. Official figures show that the average Band D property in England will pay £78 more from April, increasing from £1,671 to £1,750. Local authorities in England are allowed to raise their council tax by 2.99%, plus a further 2% if they provide social care. Most of the increase in Council Tax bills is due to the Treasury’s decision in 2015 to allow local authorities with responsibility for social care provision to raise council tax by up to 2% a year for three years from 2016-17. This increase also reflects a loosening of the government’s cap on rises to police surcharges that can be added to Council Tax bills without the need for a local referendum. 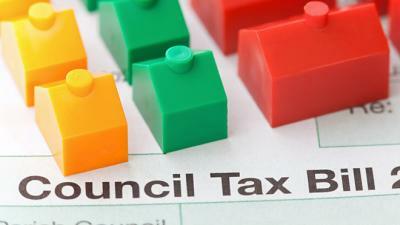 The increase means that across the UK, taxpayers will be paying £36.3bn in Council Tax, £2.1bn more than in 2018/19.